Our mission at Camp Rince Nua is to present the vibrant Irish culture in a progressive environment. We believe that atmosphere is everything. Throughout our lives, we all love to return to the experiences that have been joyful, positive and fun. Our goal is to give each camper a beautiful cultural experience and a life-long love of Irish Dance, its fun and its joy. The atmosphere is intentionally kept light and informal, but with enough structure to deliver a solid grounding in the fundamentals of footwork and timing, of body position and stage presence, while building confidence and friendships that last a lifetime. We are assisted in everything we do by a core of dedicated, passionate camp professionals – our Leadership Team. Handpicked for their caring, creativity, and ability to work with youth, these parents, educators, artists, and coaches collectively and individually set the bar for the staff they supervise. We work to create the best possible summer experience. 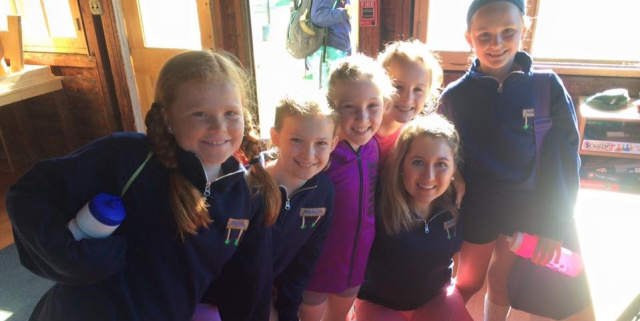 In addition to our professional instructors, Camp Rince Nua will have an on-call Nurse, Life Guard, counselors, fitness instructors and "Camp Moms"
Susan Daly Stanek was born in Dublin where she began dancing at the age of 3. Susan enjoyed a flourishing dance career and traveled Europe as a member of an international touring group. She was also a member of the John Players Theater Company, "Tops of the Town." Susan moved to the United States in 1986. While living in Manhattan, Susan continued to dance taking lessons at the Martha Graham School. In 2006, Susan opened Ridgewood Irish Dance Studio. Ridgewood Irish Dance offers classes from toddler to adult, in instructional Irish Dance, progressive Irish Dance and Dance Drama. Ridgewood Irish Dance holds many national titles for solo, ceili, freestyle, and dance drama competition. Susan's choreography has been featured at major sporting events, theater productions, and commercials. She is the recipient of many international awards for her work in theater and dance. Lindsey is the baby of the Stanek Clan. She holds five national titles including her first place in 2012 and 2014. Lindsey is also the 2012 Mid-Atlantic Champion. Lindsey enjoys choreographing and is currently a student at Tulane University, New Orleans. CAMP RINCE NUA EMPLOYES A NUMBER OF PROFESSIONAL IRISH DANCERS FROM TOURING IRISH SHOWS IN NORTH AMERICA AND EUROPE, AS WELL AS ESTABLISHED IRISH DANCE TEACHERS.